There's no place in the squad for Declan Rice however, which will fuel further speculation about his future as he continues to deliberate on whether he should declare for the country of his birth, or stick with Ireland. Rice has represented Ireland at youth level from U16 to U21 and was capped in three senior friendly internationals earlier this year. The return of record goalscorer Rooney has split opinion, with the 33-year-old set to collect a 120th cap in the November 15 friendly against the US to honour his Three Lions career. Rooney has not played for his country for almost two years and it is understood he will make a late substitute appearance in a game which will be known officially as the Wayne Rooney Foundation International. He is not in contention for the Nations League clash with Croatia three days later. Southgate revealed talks over Rooney's involvement have been going on for a year, ever since his international retirement. 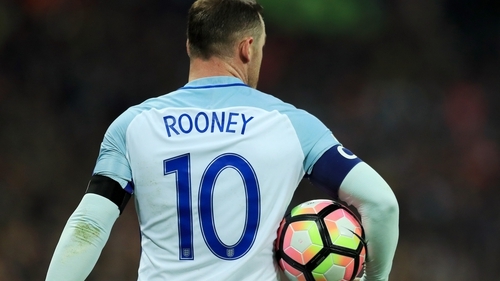 "There have been ongoing discussions since Wayne retired about paying tribute to him and his England career," said the manager, who added Rooney had declined an opportunity to be honoured ahead of the World Cup so as not to take the attention away from those going to Russia. Wilson, who has scored six Premier League goals so far this season, is rewarded with a maiden call-up to the senior ranks. Former England manager Roy Hodgson said the issue of Rooney's return "will divide opinion." However, Hodgson, now Crystal Palace boss, believes the country's record goalscorer deserves the opportunity of such an honour. "You can be accused of giving out cheap caps in friendlies anyway," Hodgson said in a press conference reported by the Premier League club ahead of Saturday's match against Tottenham. "But I don't see a problem with someone using a friendly match to actually say 'thank you' and to recognise the work of someone like Wayne Rooney, who was a fantastic international and servant of England as a player. "Furthermore I believe one of the major charities that evening is his own Wayne Rooney Foundation, so I wish him well with it, hope it is a good game and I hope Wayne enjoys the occasion."